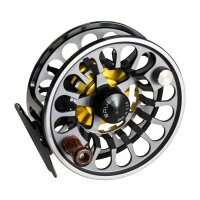 RX 1, 2, 3, 4 Smaller, lightweight reels that can handle lines 2wt though 8wt and are ideal for all freshwater applications, as well as light salt. 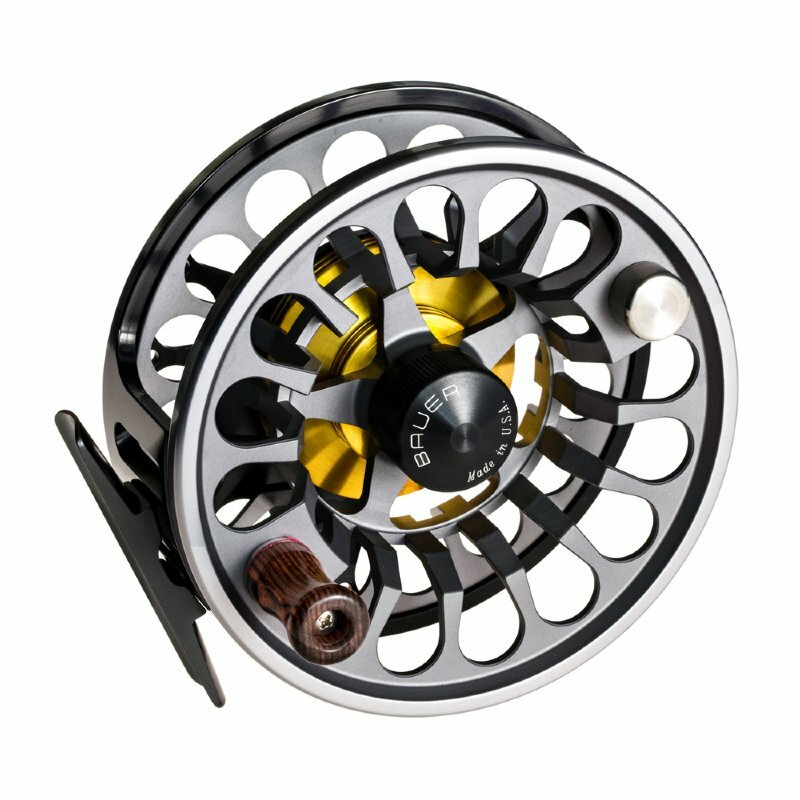 Perfect for trout, smallmouth bass, bonefish and other species. 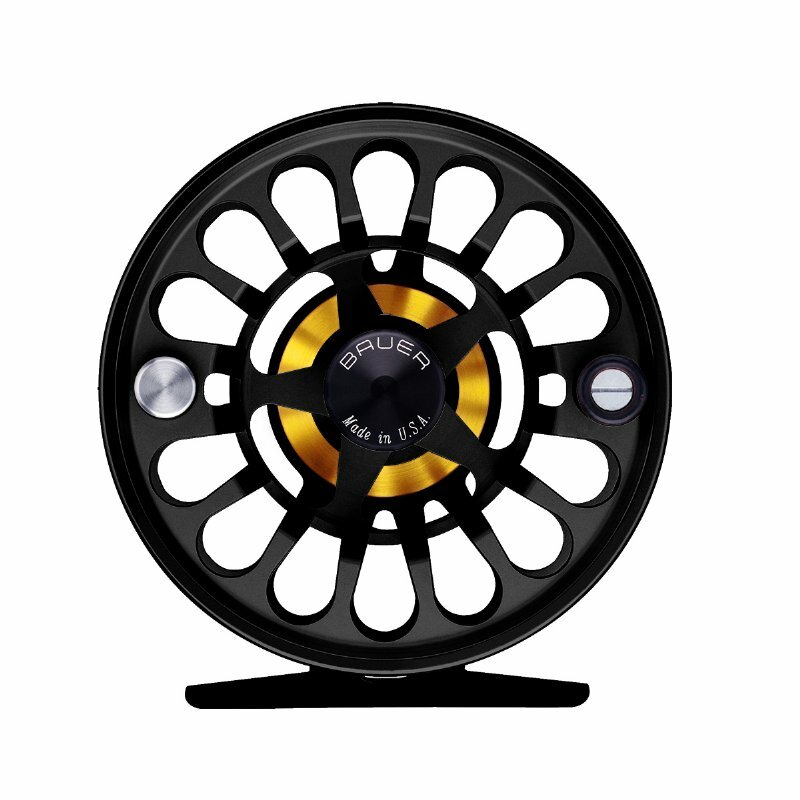 RX 5, 6, 7 These larger RX reels were designed to handle and subdue extremely powerful fish such as tarpon, peacock bass, dorado, permit and other hard fighters that will quickly prove whether a reel is up to the task. They feature stronger seals, a more powerful structure and a drag system that features multiple carbon discs and five times the surface area for maximum stopping power and control. 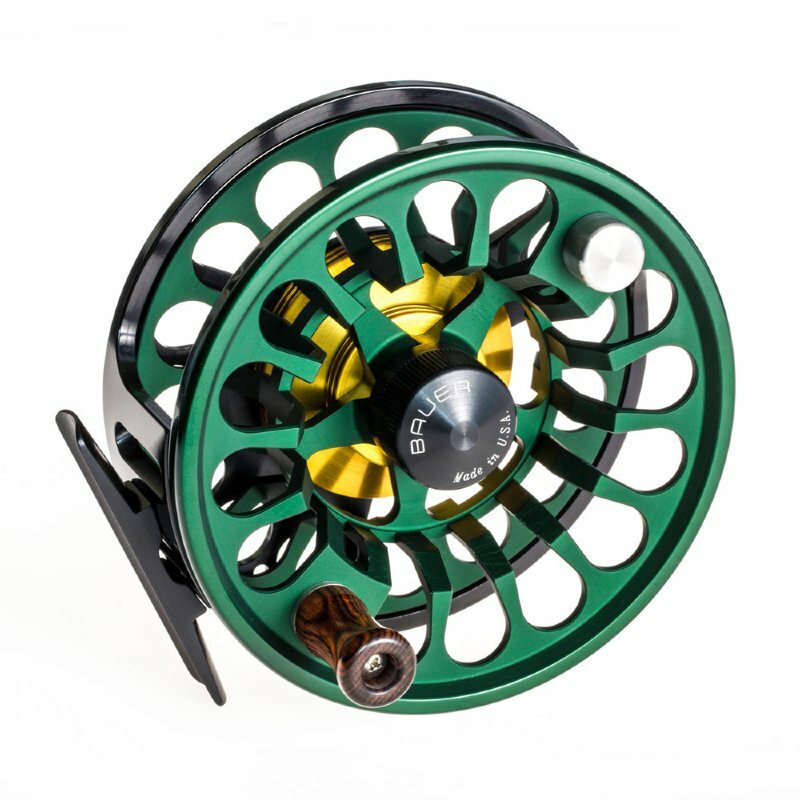 COLOR OPTIONS: RX Reels are available with a Black handcrafted, polished frame, Gold hub and the following spool color choices: Black, Dark Green or Charcoal/Graphite. RX1 3/4/5 WF5+(55yds20#) 3.5 oz 3.00"
RX2 4/5/6 WF5+(100yds20#) 3.8 oz 3.25"
RX4 6/7/8 WF7+(175yds20#) 5.3 oz 3.75"
RX5 7/8/9 WF8+(225yds30#) 7.8 oz 4.00"
RX6 9/11/12 WF10+(350yds30#) 8.6 oz 4.25"
RX7 11/12/13 WF12+(450yds30#) 9.4 oz 4.50"
Review (Tell us Why? 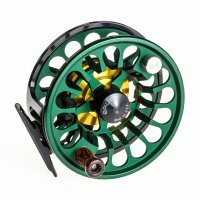 : I was very happy with the fast, friendly service provided - will buy again from Gorge Fly Shop. Review (Tell us Why? 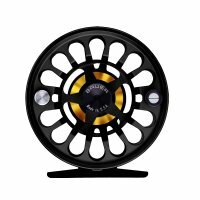 : Ultra light because of the extra porting especially on the spool. Although light it has a strong super smooth drag. Maybe best there is. Styling is conservative but beautifully classic.